Temple of the New World Order provides an excellent starting point for GM to make an interesting game set in WWII (or weird war). It consists of GM’s notebook as well as stylized handouts which can be printed and presented to players. Please note that the supplement is stat free and can be used in any WWII or modern game. 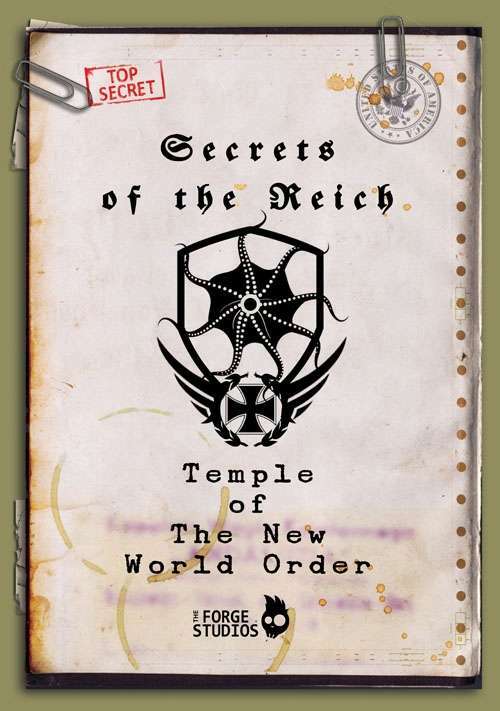 The supplement consists of maps and plans of Temple of the New World Order - a mysterious place where Nazis try to awaken forgotten powers and unleash them on allied forces. Can Players discover secrets of the temple?